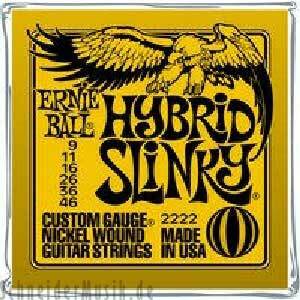 Ernie Ball's Slinkys are probably the most well-known line of electric guitar strings in the world. Made from nickel-plated steel windings wrapped around a tin-plated, hex-shaped steel core wire. Slinkys produce a well balanced, allround good sound, no matter what your playing style. This legendary electric guitar string delivers full basses and brilliant highs.